Beautiful weather for Spring Break! Bring your family and lets catch some fish! Spring Break Fishing is Red Hot! 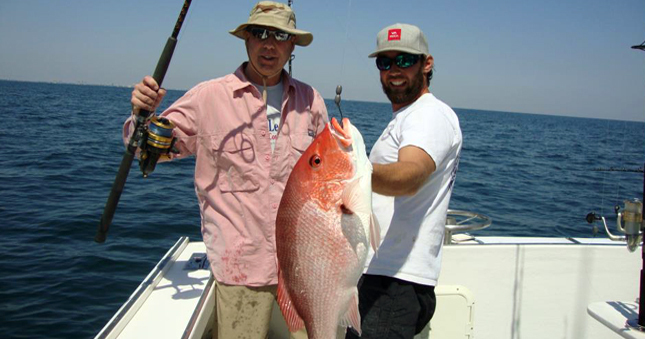 Take advantage of the Trigger fish, Amberjack and various Snapper open season right now! Spring Break for 2016 is Here! The weather is a perfect 70 degrees... come on down and join us! Spring Break for 2016 is a week away... come on down and let us help you catch a Smile! Spring Break for 2016 is just over the next wave... Start planning your vacation weekend now to ensure you have a great experience. Planning ahead is the key. wait until the last minute and you end up at the end of the line with a sad face! Summer is just a wave away! Come go Fishing on a Full Size Boat for the price of a Center Console! Looking to charter a boat in Alabama where the fish are always biting? Do you want to know where to catch fish, what to catch fish with and how to catch fish. Charter a experienced deep sea fisherman who can captain a vessel for both inshore and offshore species of fish all year round. Captain Pete Fill of the "Yankee Star" knows all of the Gulf Coast waterways and a wide variety of fish and what to use to catch them. Captain Pete’s Yankee Star deep sea charter fishing boat is docked at the Orange Beach Marina. 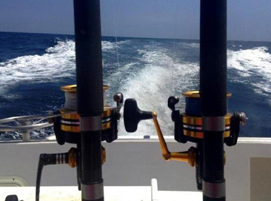 Captain Peter of the Yankee Star charter boat specializes in deep sea charter fishing within the Gulf of Mexico. The Yankee Star is a leader in the Deep Sea Fishing Charters industry out of Orange Beach, AL. and Gulf Shores, Alabama. holding a 100 ton Master Captain's license.